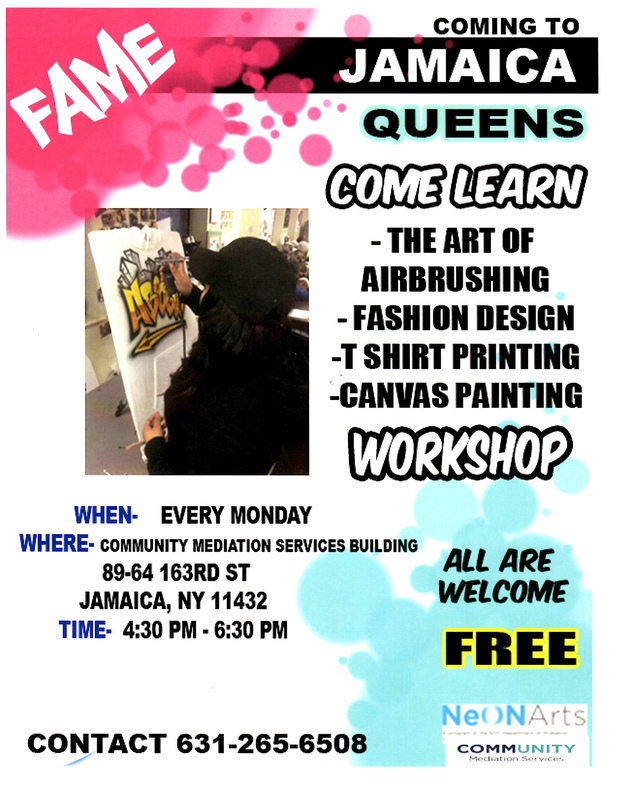 CMS is hosting a NeON Arts free workshop, facilitated by Fame Airbrush. NeON (Neighborhood Opportunity Networks) Arts is a free program provided by our partner, NYC Department of Probation (in partnership with Carnegie Hall’s Weill Music Institute). Workshops officially begin April 24th and will go through July 12th, every Monday from 4:30 – 6:30pm.